Not unlike the In Your Pocket app, Bonairebest is a user friendly mobile web application that is made for both visitors and locals on Bonaire. Events, sightseeing, accommodation, transportation and shopping are all covered but many of the comments are written by the owners of local establishments so not all reviews can be taken at face value. Imagine every scrap of info about Bonaire on your phone. The app lists all kinds of events on the island and is regularly updated with new features. It's available for iPhone and Android phones in four languages (English, Dutch, German and Spanish). 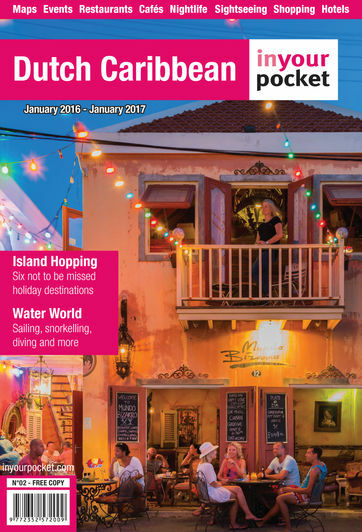 Since 1992 In Your Pocket has been publishing regularly updated, essential guides to an ever increasing number of European cities, with new destinations in South Africa and now the Dutch Caribbean. The In Your Pocket Android application has incorporated all of what has made In Your Pocket the most respected city guide publisher on the continent: accuracy, regular updates, sharp humour, a keen eye for detail and brilliant writing. This is all combined with the power of modern smart phones to create the world's best travel apps.